The win was also, team India’s 10th-successive series win at home. 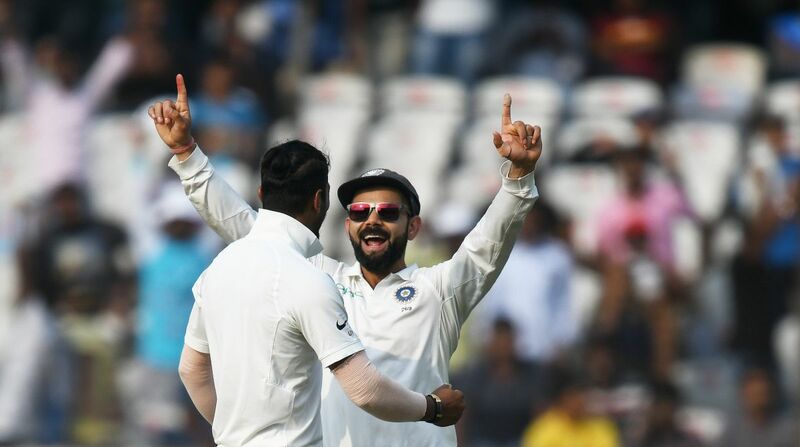 Indian cricket team won the two-match Test series against the West Indies 2-0 after recording a comfortable 10 wicket win over the Caribbean outfit on Sunday at the Rajiv Gandhi International Stadium, Hyderabad. Prithvi Shaw hits the winning runs and India win by 10 wickets! Batting first, West Indies put up a strong fight in their first inning as they scored 311 runs before getting bowled out on the second day of the last Test match. In reply to Windies’ 311, India scored 367 runs before getting bowled out on the third day with half-centuries from vice-captain Ajinkya Rahane, wicket-keeper batsman Rishabh Pant, and opener Prithvi Shaw. At the end of their first innings, India had taken a lead of 56 runs. At the end of the second day, West Indies were in a good position but their batting faltered again on a track that did not offer much to the bowlers. The visiting team was bowled out for a paltry 127 in their second innings giving India a meagre 72 run target as star Indian pacer Umesh Yadav bagged his maiden 10-wicket haul. The home team won the match by 10 wickets in just 16.1 overs as they chased the target of 72 runs without breaking a sweat on the third day of the Test match. Both the Indian openers Prithvi Shaw and KL Rahul were unbeaten on 33 runs each.